FUJIFABRIC will be providing a new song as the ending theme for the upcoming "Ao Haru Ride" anime. The anime will premiere on respective channels in Japan from July onwards. More details regarding the song will soon be revealed, so stay tuned! It was announced earlier this year that the manga will be adapted into an anime by Production I.G. The "Ao Haru Ride" anime will feature Yuuki Kaji (Attack on Titan's Eren) as Kou Mabuchi and Maaya Uchida (Chunibyo Demo Koi ga Shitai! 's Rikka Takanashi) as Futaba Yoshioka. 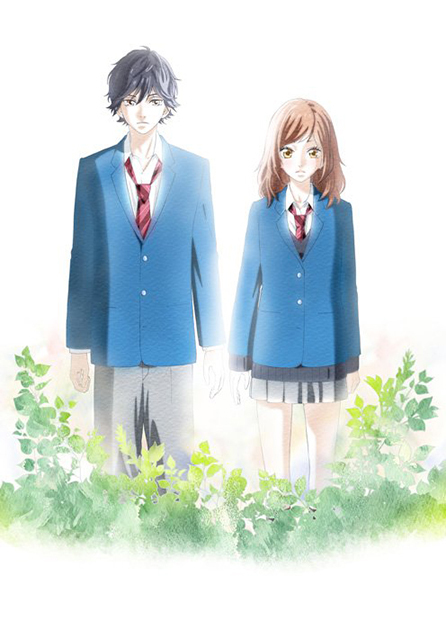 Io Sakisaka's "Ao Haru Ride" tells the story of Futaba, a girl who falls in a love with soft and gentle boy, Kou. However, she could never get her feelings across because of a misunderstanding. Fate eventually brings the two back again; but this time around, Kou was no longer the same boy she used to love.